Styling long hair with barrettes can be very simple and easy. There is no need to get help from anyone while using barrettes for styling the hair. Most of them normally use barrettes for creating updos and other different hairstyles. Avoid going to a hairstyling to get some tips about styling your hair with the barrettes as you can use the following simple steps to do this. There are different steps that can be followed for styling the hair with the help of a barrette. 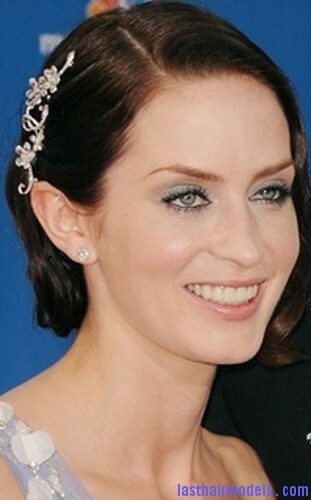 You can use the casual barrette on one side of the head for keeping the entire hair in place. This type of styling is normally followed by those who want to style their hair within few minutes. You can also pull the entire hair behind the head and use the barrette for keeping them in place and you will have a ponytail that will look very simple. Another option is using the barrettes for styling an updo. First select which type of updo you are planning to create with your hair. After following the steps to create the updo, finally you can use the barrettes for keeping the hair secured in its original place for a long time. The barrettes can be used by anyone unless they have a medium to long hair. Using barrettes with short hair can be difficult as it needs long hair strands to hold the barrettes in place along with your hairstyle.